I love vegetables and ratatouille is a dish that really knows how to give a big bang for your vegetable buck. 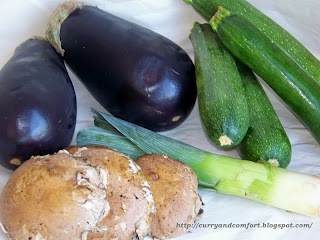 It incorporates a lot of my favorite vegetables such as eggplant, zucchini, tomatoes, peppers. This is my curried version of this classic french dish. 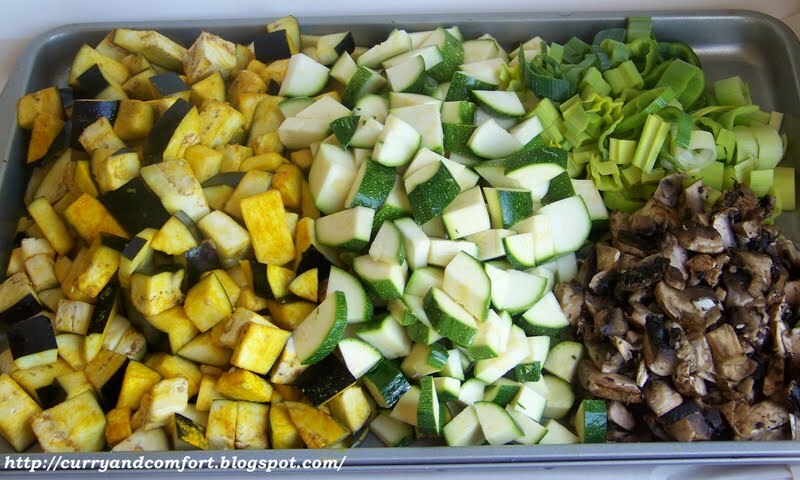 Slice and cube the veggies into bite size pieces. 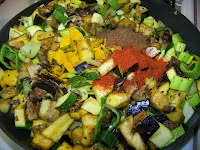 Note: You can salt and sprinkle some turmeric on the eggplant and allow to sit a few minutes for extra flavor. To start making your curry, you will need to get a very large pan or wok. 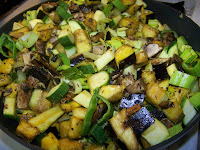 Heat it on med-high heat and add 2 Tbs of canola oil. 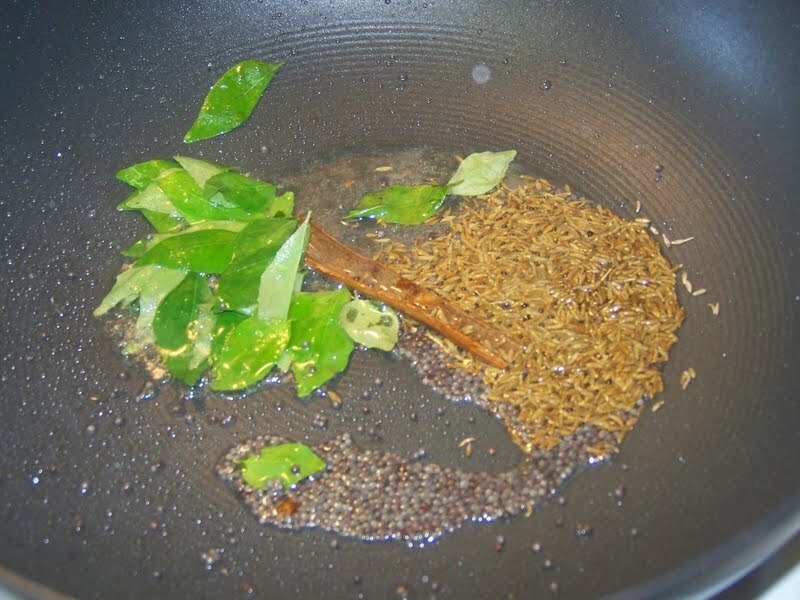 When the oil is heated add curry leaves, cinnamon stick, cumin, fenugreek and mustard seeds. 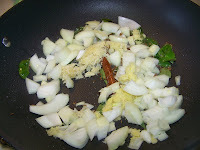 Then fry ingredients for about 30-45 seconds until fragrant. Careful not to burn the seeds or they will become bitter. Next add the onion, garlic, ginger, chilies and a little salt. Fry until onions begin to soften. 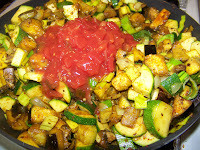 Next add the cut up veggies and saute for several minutes. 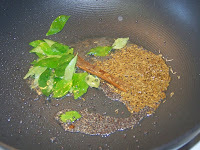 Then add your dry spices, salt and mix well. Add water, diced tomatoes and cook until vegetables are cooked to your desired tenderness. Finally add the milk (of your choice) and taste for salt and seasoning and simmer for a few more minutes. Serve with rice and other curries like lentils. That sounds really good, love curries! 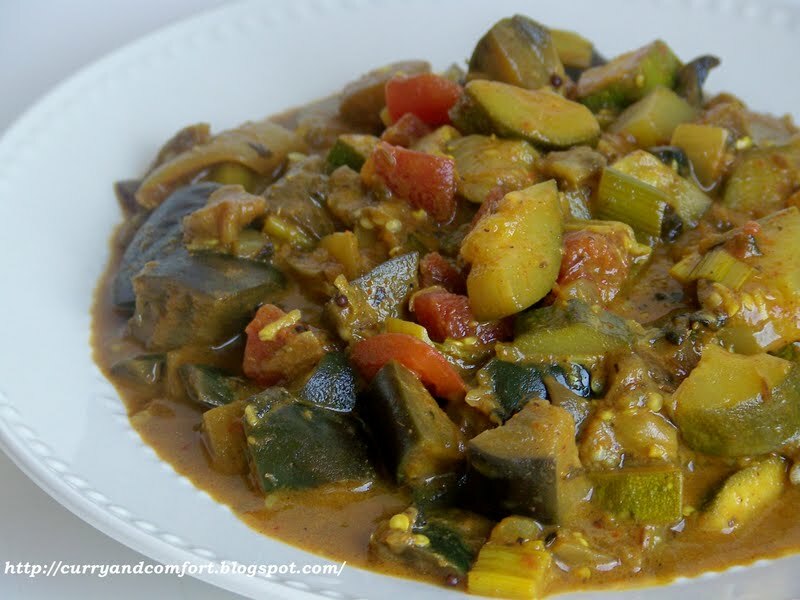 Ooooo...a curry version...what a tasty idea. I love this recipe. 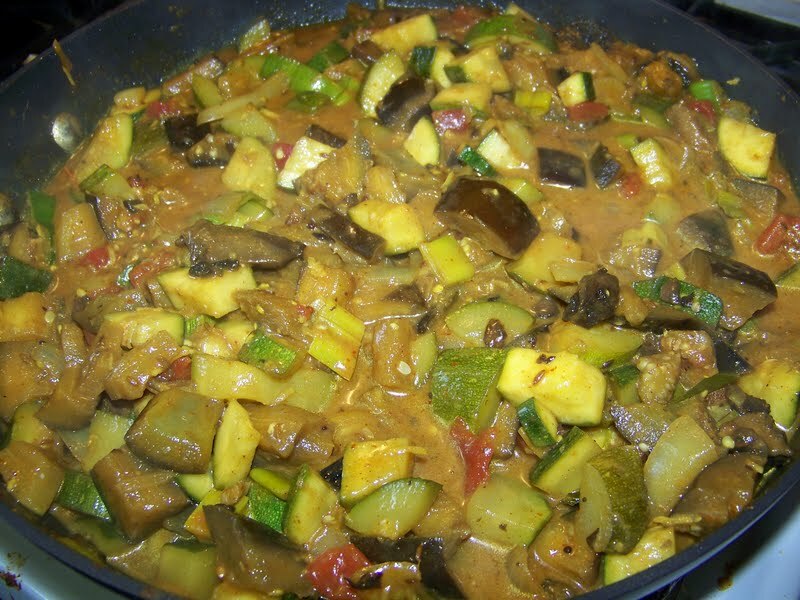 Now that's a hearty curry! Me loves!! 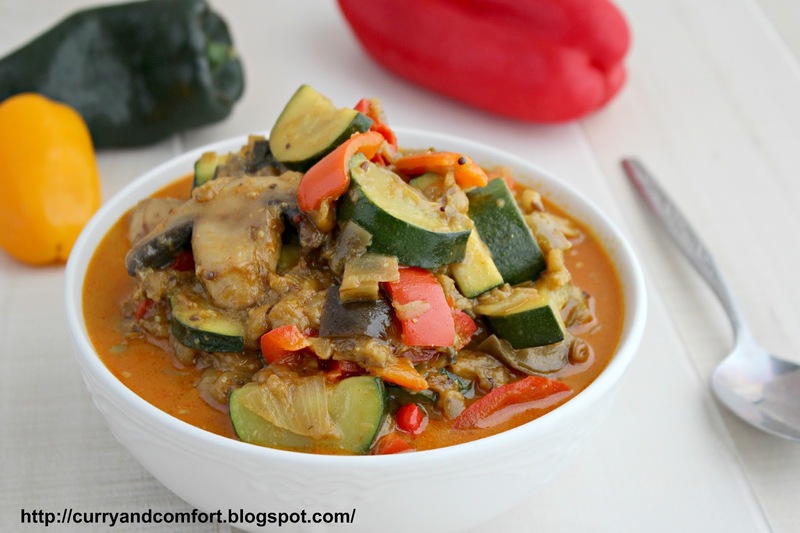 Love the heat, the veggies, everything about this! 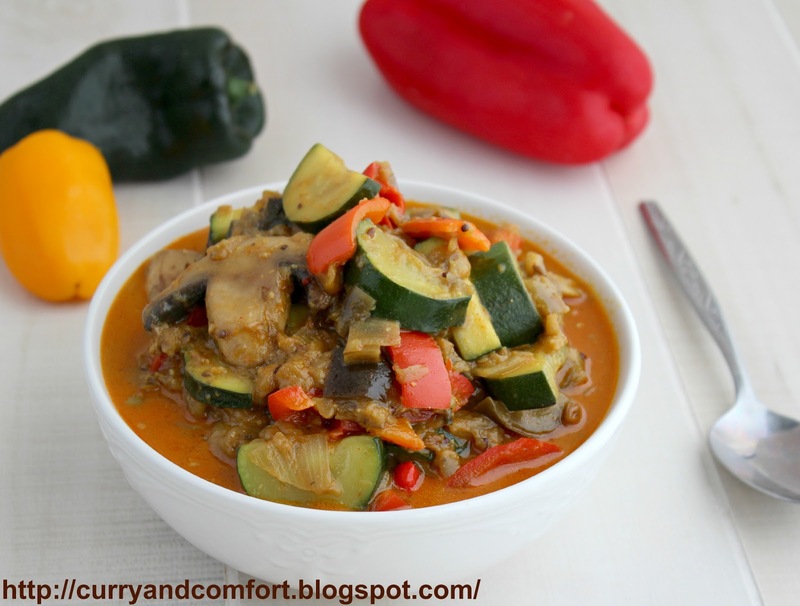 lovely combination of flavors..nice presentation..
new to your space...you have a great blog with delicious recipe collection..
Wow, that looks like a very hearty and satisfying curry. Great idea! 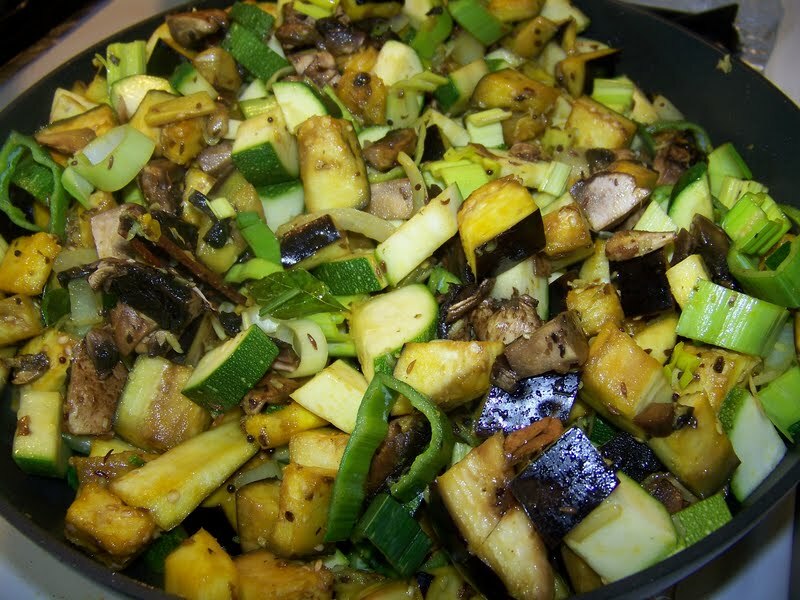 I always like your dishes Ramona - really nutritious with different kinds of ingredients in each dish. 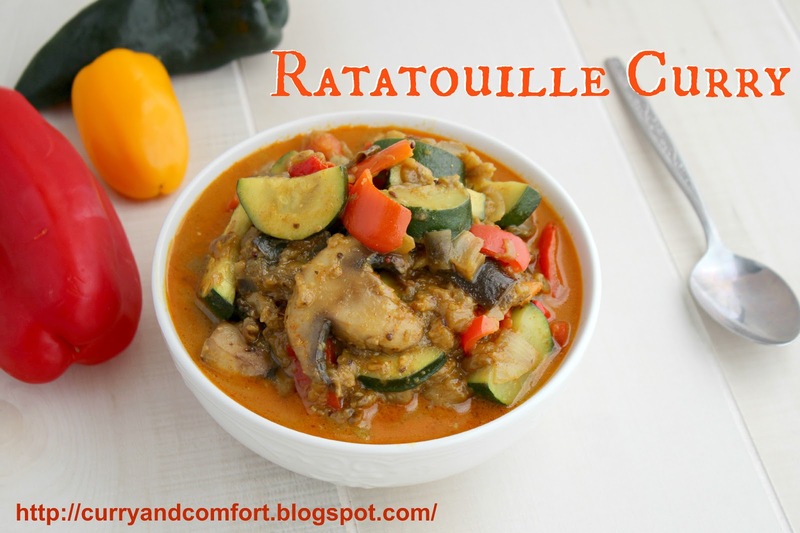 Nice version of Ratatouille! You hit this one over the fence. Vibrant colors awesome flavor. Winner!!! !